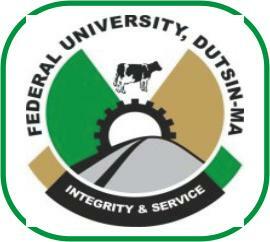 Federal University Dutsinma, FUDMA Direct Entry First [1st], Second [2nd], Third [3rd] Batch Admission List of Candidates Offered Provisional Admission for 2018/2019 Academic Session Successfully Uploaded Online. This is to inform all Direct Entry Candidates who applied for admission into the Federal University Dutsinma Undergraduate Degree Programmes for 2018/2019 Session that the admission list has been released. All successfully admitted students are to proceed with the Payment of Acceptance Fee and Registration Guidelines immediately.